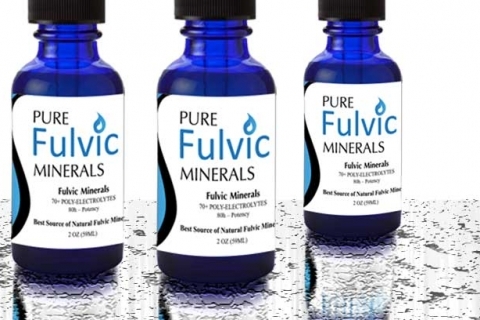 Taken from shale or clay deposits, colloidal minerals, are found in Pure Fulvic Minerals. While the exact origin of the use of colloidal minerals is not known, clay was used in some Native American tribes as medicine. This clay likely contained these minerals and positive results were seen from those using the clay. Since that time, colloidal minerals are used all over the world for a myriad of reasons. Used as a supplemental source of trace minerals which are also found in Pure Fulvic Minerals, this dietary supplement uses can include increasing energy, treating diabetes by improving blood sugar levels, reducing aches and pains, darkening grey hair, treating symptoms of arthritis, reversing arthritis symptoms, removing heavy metals from the body, and more. While the benefits of colloidal minerals are widely accepted, like any other dietary supplement, we recommend you consult your doctor before use. We are not doctors and the information provided is not meant to diagnose, cure, or prevent any disease. The information provided by this blog should not be used as a substitute for a personal consultation with a physician, nor should it be construed as individual medical advice. Any testimonials on this website are individual cases and do not guarantee that every consumer will achieve the same results. With that in mind, you can learn more about colloidal minerals, here.